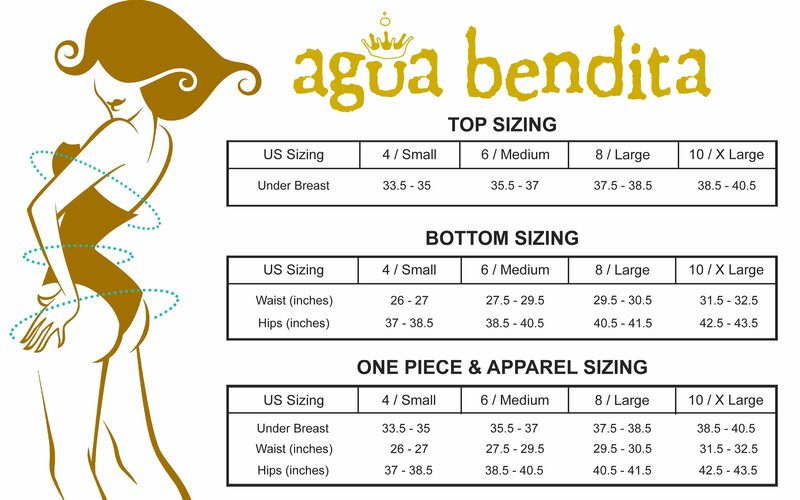 Agua Bendita‘s Mayura Georgina Top. Bandeau design as well as a soft, pull-on fit. Flat bands at top and bottom. Whalebone siding keeps top in place. Also, adjustable lace ties. In detail includes gold beads at string ends. Fully lined. Matching swimwear: Hope Reversible Bottom and Amaia Skirt.